Easter is an auspicious, festival that brings people together and spreads the joy and happiness of spring. Homes are decorated, friends and family gather, share laughter and enjoy fancy dinners. If you are looking for some cool ways to decorate your home this year on Easter, you have landed at the right place. Below are 26 beautiful easter home decoration ideas for you. Easter celebrations cannot be completed without Easter eggs. This year, do something unique and out-of-the-box. This flower crafted egg looks elegant, beautiful and delicate. It will add a touch of glam to your home and will have your guests drooling over the intricate craftsmanship. Doesn’t this egg basket look absolutely beautiful? Let the artist in you come out in full bloom this Easter. All you have to do is to decorate a dozen or so eggs with stickers and dye. Put on the stickers and dunk them in color. After they dry, remove the stickers to get eye-catching, colorful patterns on the eggs. Considering the significance of Easter Bunny, you just can’t leave the bunny out of your Easter celebrations. 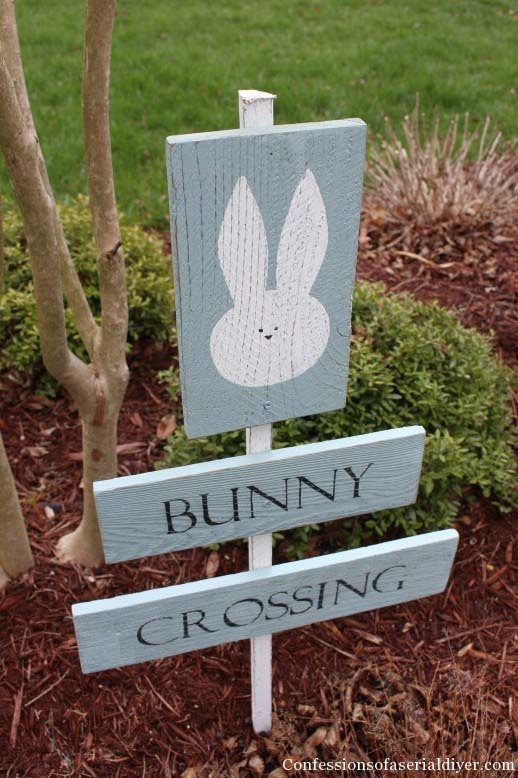 This Bunny Crossing signboard, made from old fence, is just so cute that it takes your Easter home decorations to the next level. People are going to love how you recycled and innovated something so cool! While kids will probably sit around and wait for the bunny to cross. 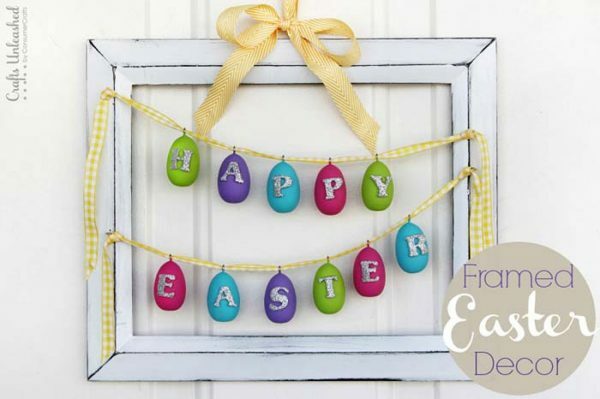 All you need to make this Easter wall decoration is wooden eggs, a wooden frame, some paints, ribbons and eye hooks. 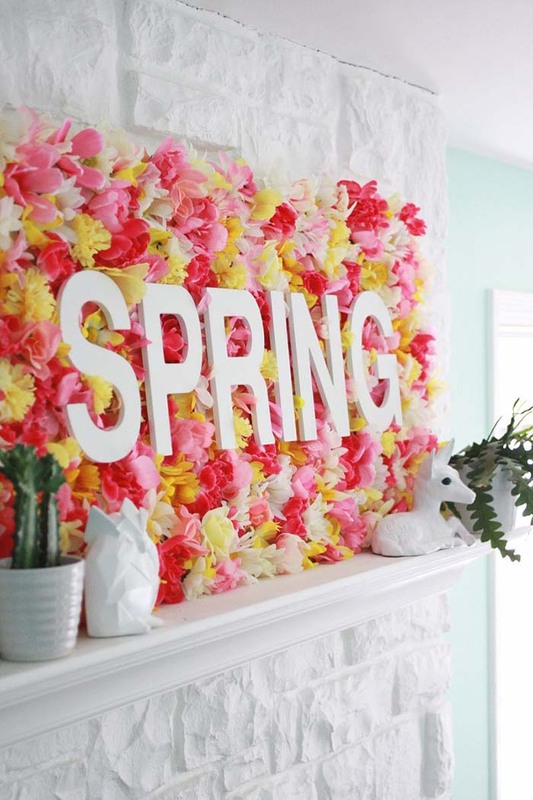 Hanging this wall decoration on your living room wall will totally give out Easter feels. Who doesn’t like decorating their home on Easter? Why not it be with something you make yourself? 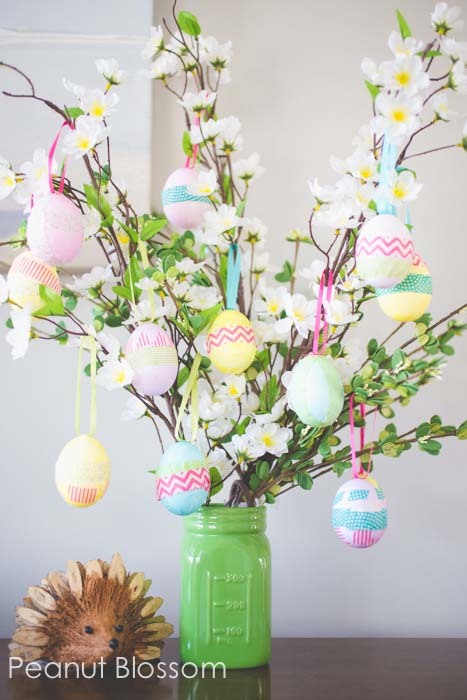 Making DIY decorations on Easter is a whole lot more fun than buying readymade ones. A personalized touch to anything makes it more likeable and enjoyable. 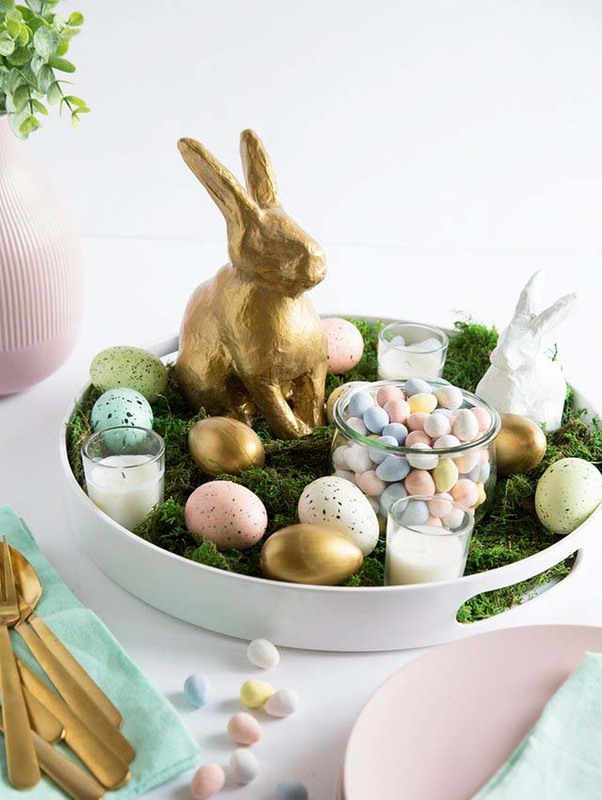 For this spring centerpiece, fill a tray with some moss, and place a chocolate bunny or a bunny figure in it. Some Easter candy and hand-decorated Easter eggs will complete the look. Addition of scented candles to this tray will serve as the cherry on top! 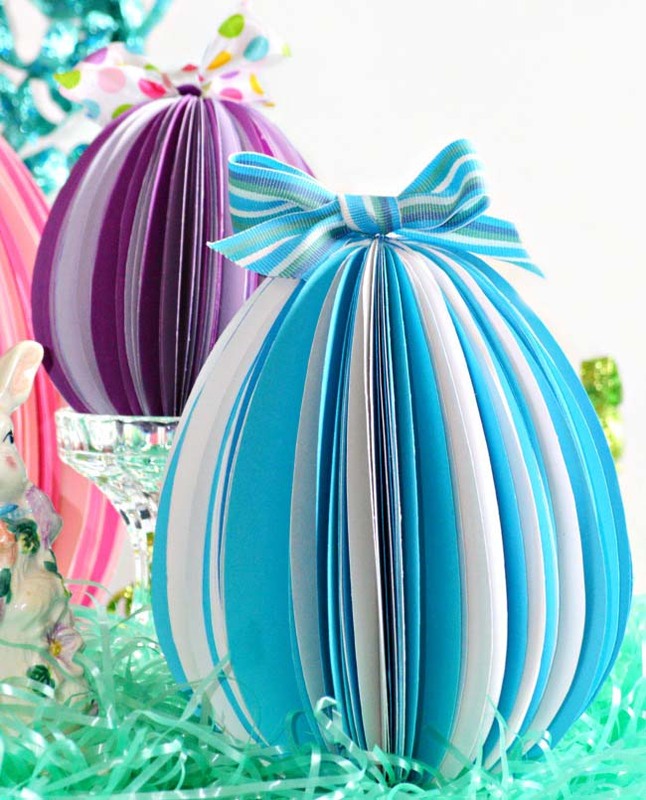 These colorful eggs made from paper are another idea for your Easter home decoration. 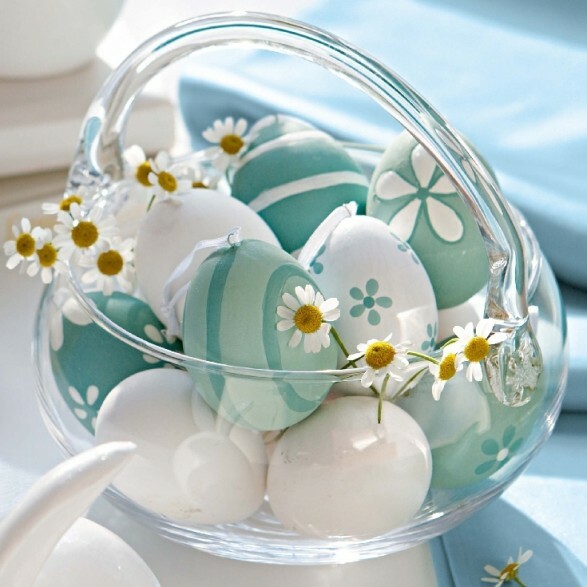 They are simple, stylish and colorful – everything that Easter decorations should be! Most importantly, they are super-easy to make so why don’t you add them to your next Easter craft project? This Popsicle Bunny for your desktop is the coolest wall decoration you could go with this Easter. It is simple and innovative, and easier to make than it looks. If you know how to stack popsicles, you are good to go with this DIY Popsicle Bunny. A floral Easter backdrop like the one in the picture for Easter celebrations brings together the colors of spring with the excitement of Easter. Colorful flowers are associated with happiness, freshness and celebrations and what better occasion to celebrate than Easter? 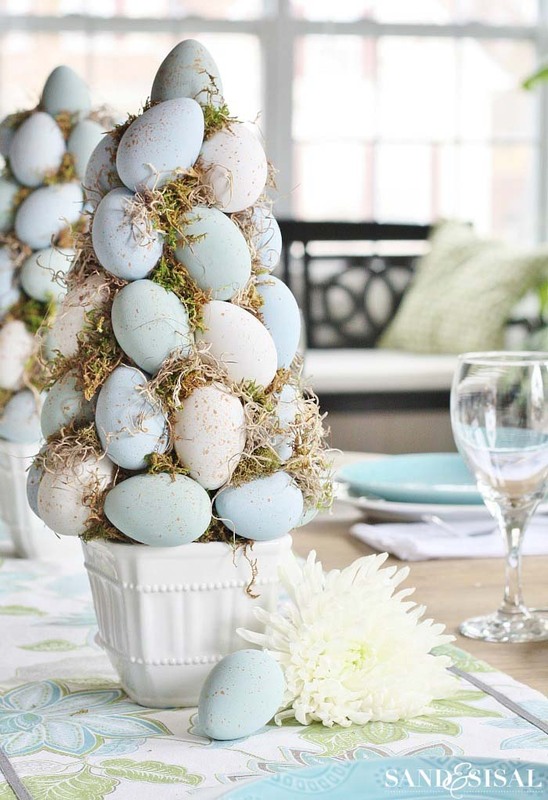 This Easter Egg Topiary Tree would make the perfect centerpiece for your dining table this Easter. 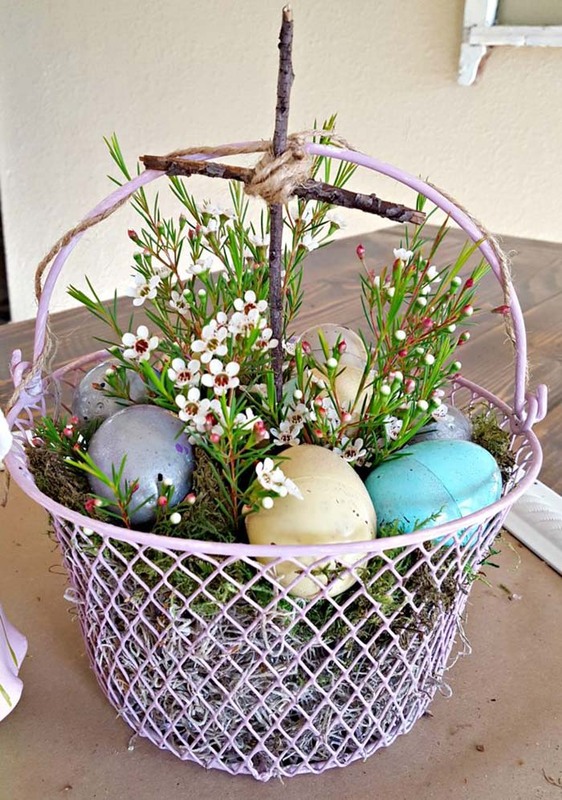 Keeping the connection of eggs with Easter alive and fresh, this decoration item will be surely loved by all. 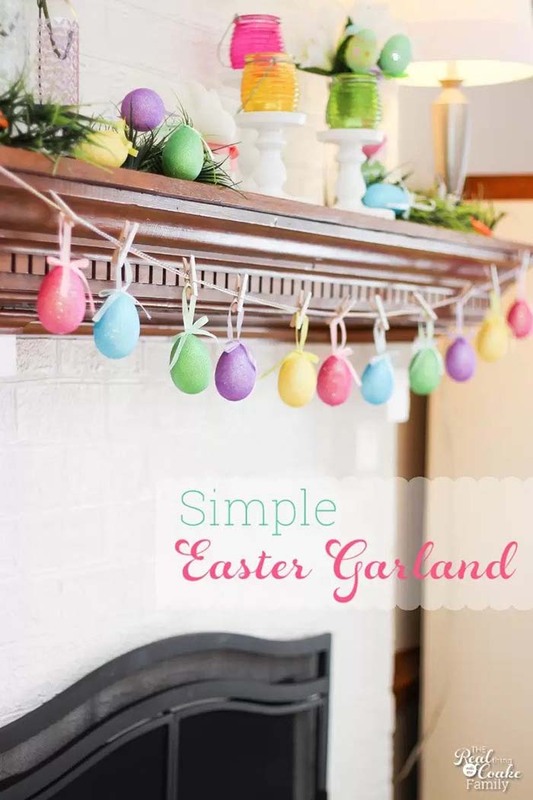 A garland made from colorful Easter eggs should not be missed this. The funky, colorful eggs would add brightness and color to any home. Isn’t Easter all about happiness, colors and celebrations? What better way to celebrate than to add some fun colors? 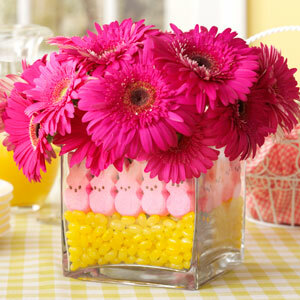 Serve candies and snacks in these cool Easter jars. They are super easy to make, are pretty and eye-catching too. There is so much you can do with these jars. 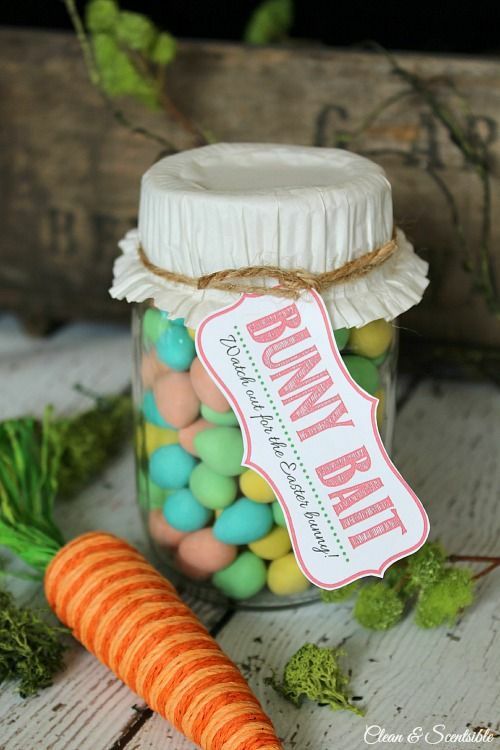 Other than serving candies, you can even give them as Easter giveaways with Easter goodies! These vases look so breathtakingly beautiful and serene. 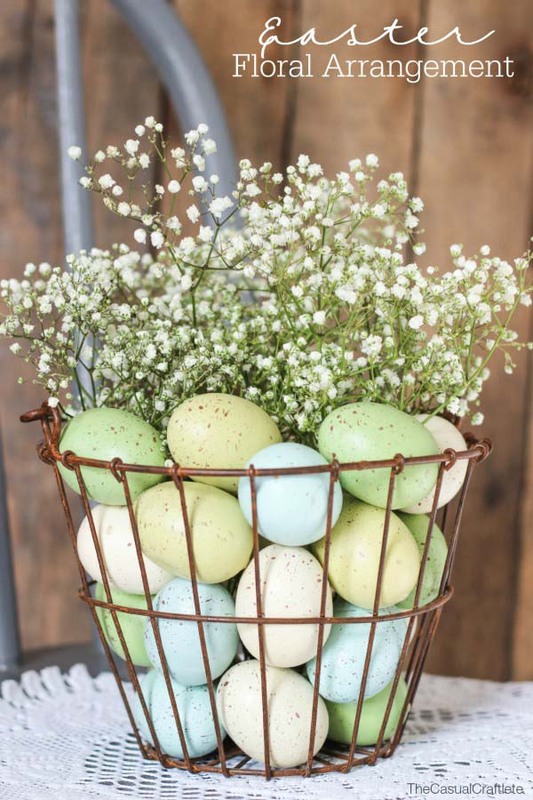 Keeping them on your center table during Easter festivities would add to the beauty of the entire event. You can easily work this rainbow up in no time! 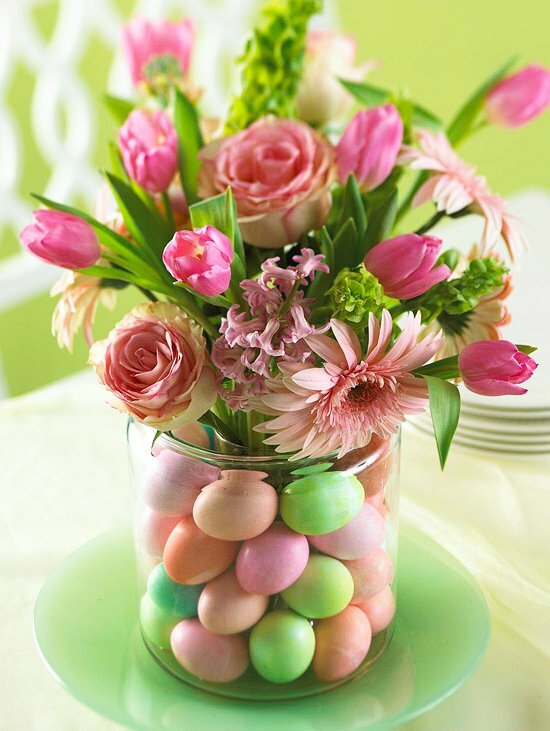 Another super cool idea for Easter home decorations is this floral Easter centerpiece. It incorporates the freshness of flowers and the colors of celebrations in one place, adding just the right touch for Easter. 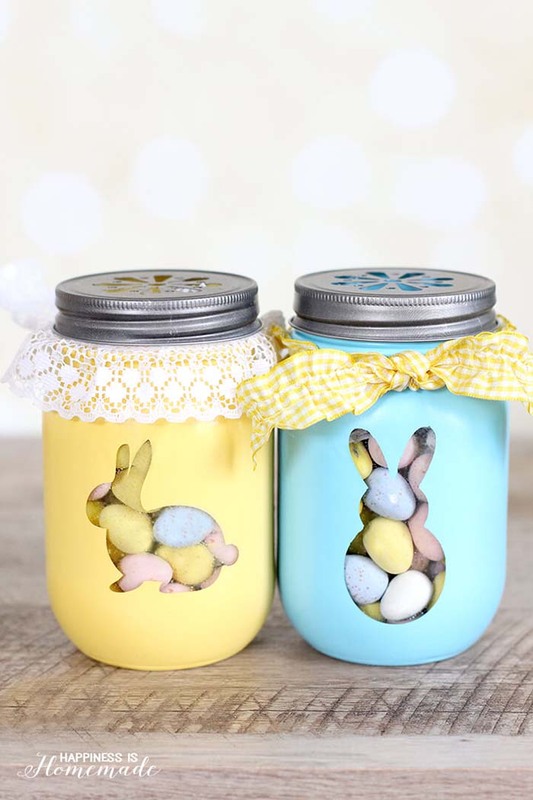 This Easter Mason jar is extremely easy and convenient to put up. It is a quick Easter home decoration idea for your home. It is simple yet elegant and does justice to the Easter theme perfectly. No festivities can be completed without addition of some flowers. 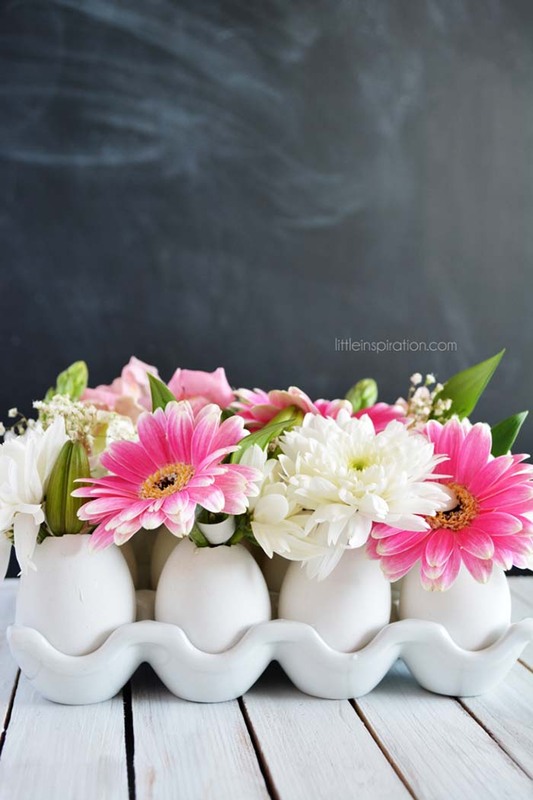 This floral egg tray is the perfect centerpiece for your home this Easter. It is delicate and sophisticated. Above all, you can prepare it yourself within a few minutes! Welcome your guests with a Rainbow Bunny Wreath. 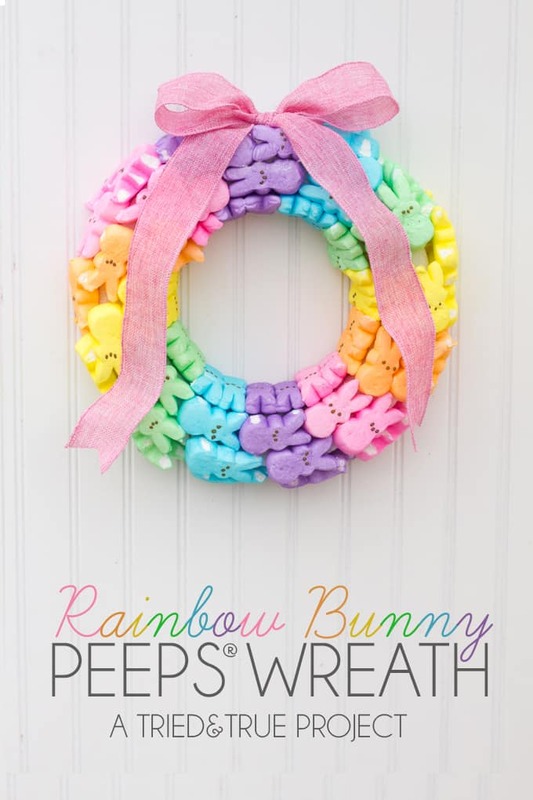 Hanging a Rainbow Bunny Wreath on your front door during Easter festivities will leave your guests stunned by your creativity and thoughtfulness. Also, there is nothing bad in adding some color to life, is there? 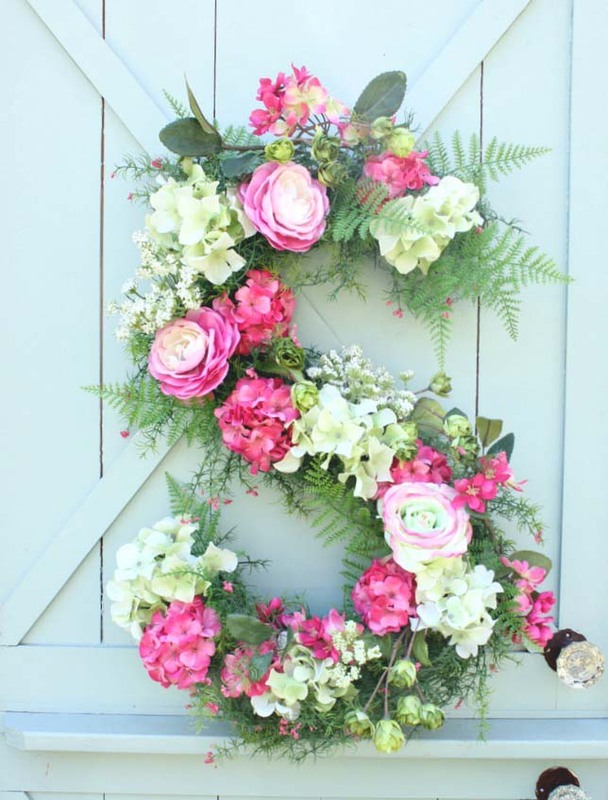 A huge floral monogram for Easter will look perfect on your front door. Your home should radiate the happiness and spark of Easter celebrations. Why not start with your front door? Placing an Easter Bunny Bouquet on your dining table will give Easter feels while you have your Easter dinner. You should decorate your home in a way that anyone can feel the heat of festivities as soon as they step foot in to your home. It is not necessary that your Easter decorations should be expensive. 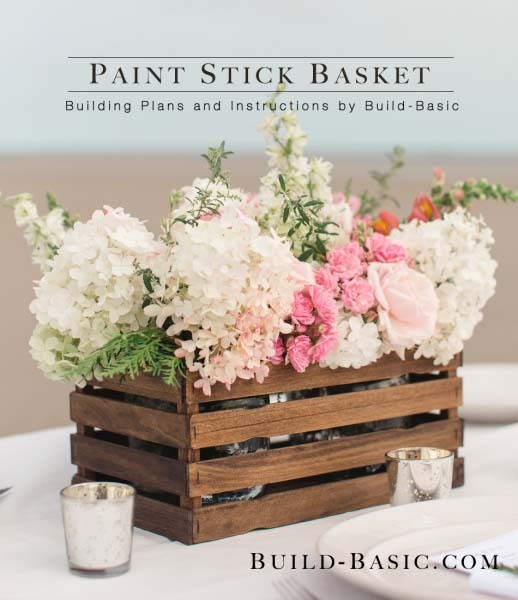 This Paint Stick Flower Basket is beautiful and inexpensive decoration item for Easter. It is easy to make and the end result is a sophisticated and a beautiful flower basket. Most of the people decorate the interior of their homes on Easter. 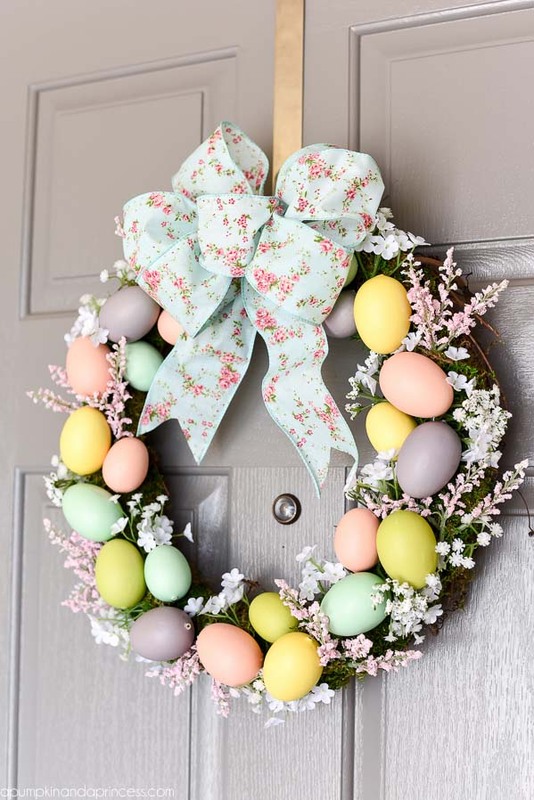 Why not decorate outside of the home as well with this Easter Egg Wreath? Easter is a festival to be happy and when you are happy, you better show it! 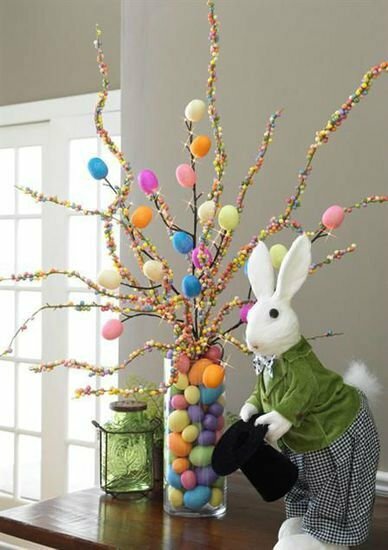 This adorable Easter Egg Tree is something you must have this Easter. It is no challenge to make at home. This idea for Easter decorations for your home is a winner already! Filling a basket with different colored eggs sounds simple but once you actually make it, you’ll be amazed to see how simply beautiful it turns out to be. Adding some flowers to it will increase the beauty by several folds. 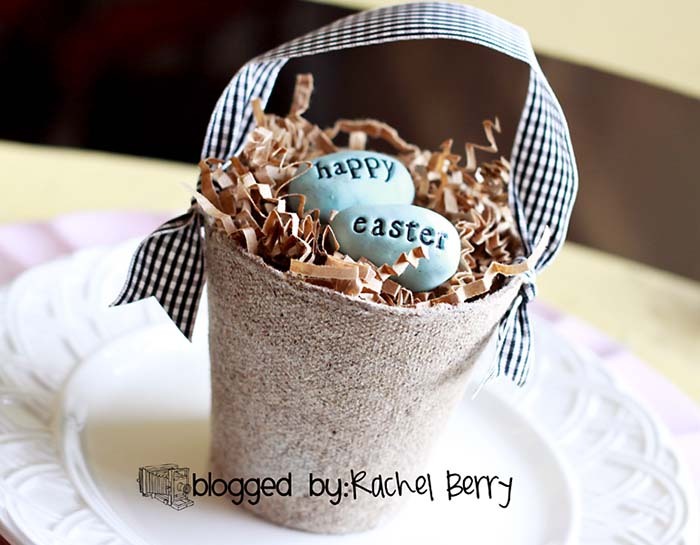 This Happy Easter giveaway is the sweetest gesture towards your guest. Your guests will take back something to remind them they were a part of celebrations at your home. This funky and colorful Easter egg basket is the simplest and quickest decoration item you can prepare for Easter. This is an Easter decoration on a budget! 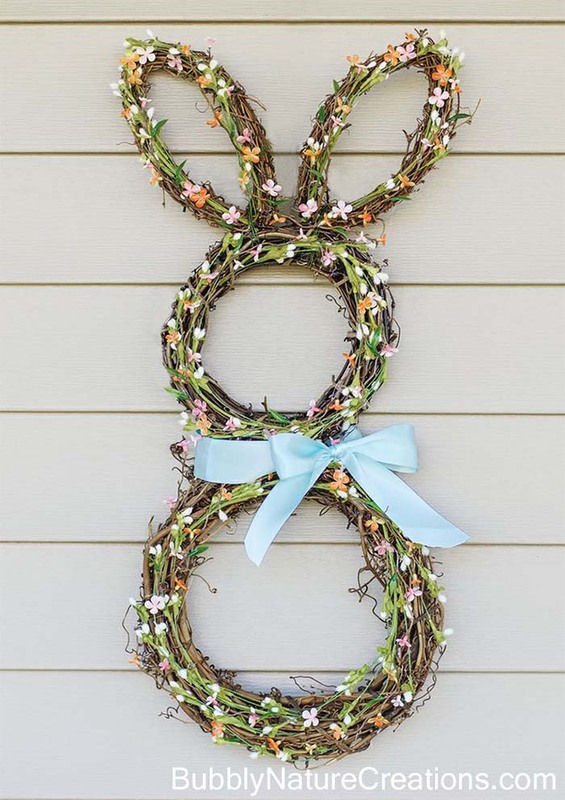 A quick and easy idea for Easter home decorations is this nature-inspired bunny wreath for your front door. 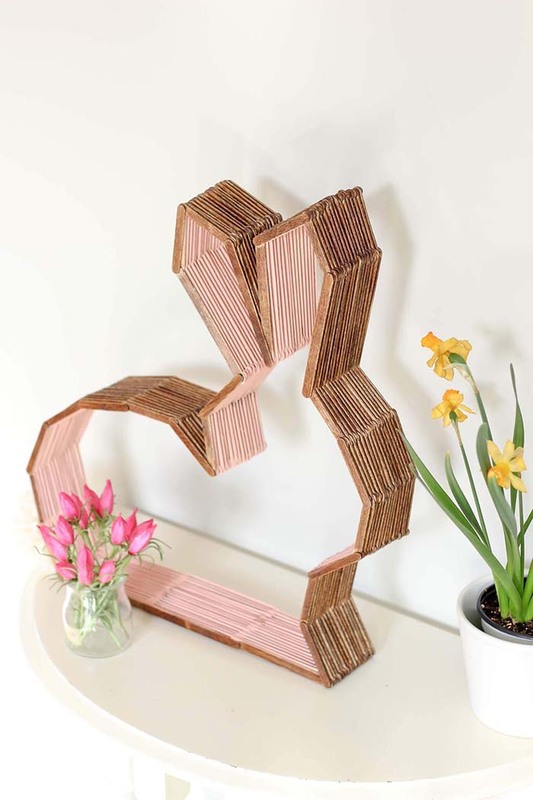 It is a budget friendly, DIY decoration item that you will totally love! 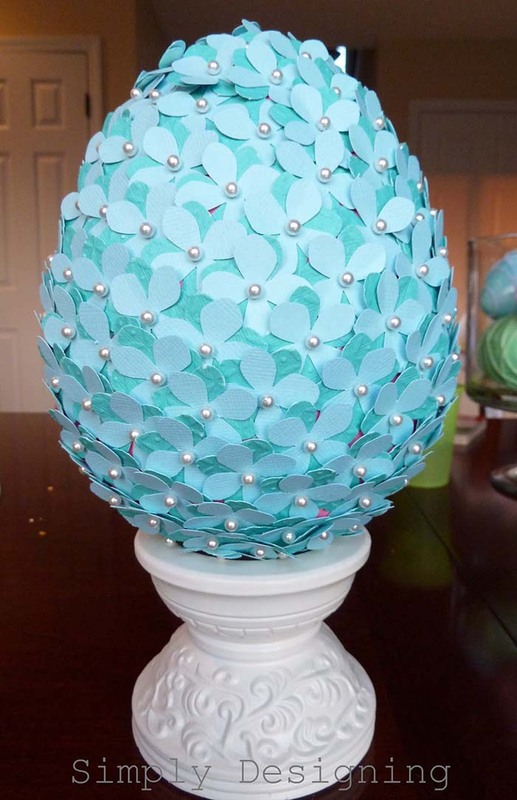 Another amazing Easter home decoration idea is this egg vase. It is colorful, funky and attractive. 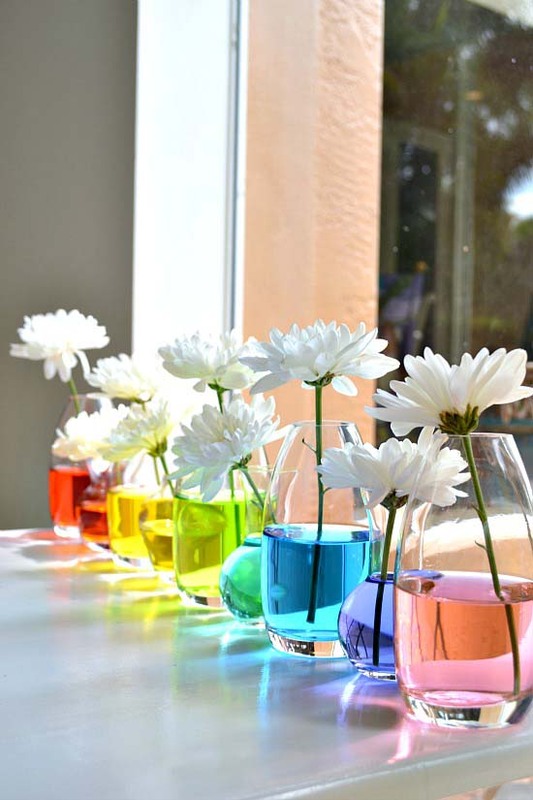 It will go perfectly on the table by the window or even on the center table of your living room. Celebrate Easter in full zest!